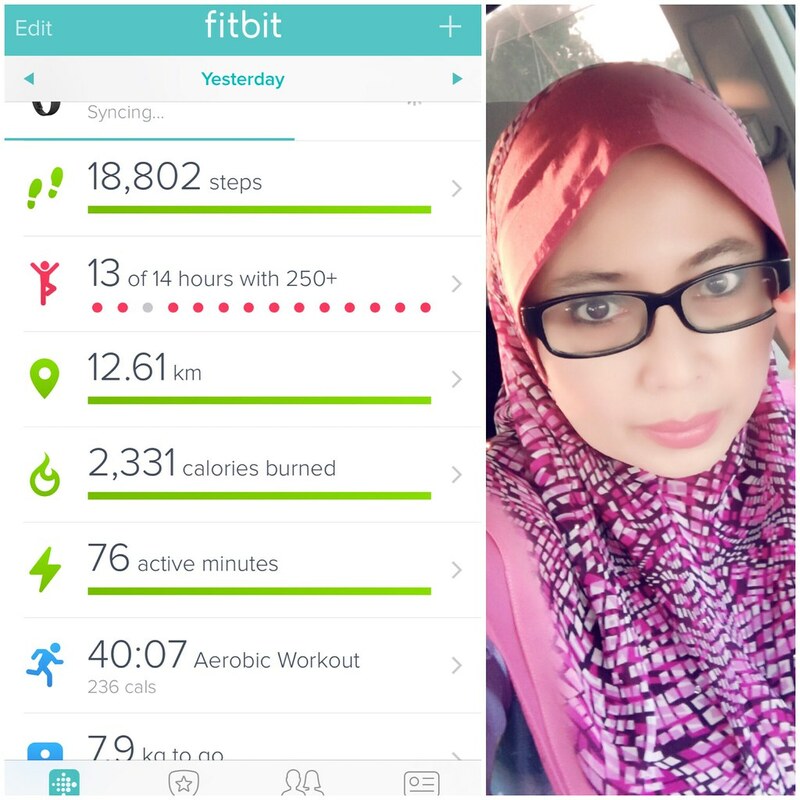 Last week I bought my first fitbit devices, it's a purple fitbit Alta. I got mine at All It Store, IOI City Mall at RM630 plus tax. My main reason I bought this device is to track my sleeping pattern and habits. Little did I know that this device is going to awaken the beast inside of me. I've become obsess with steps, walking and calories burned. Oh boy I do not need another obsession. 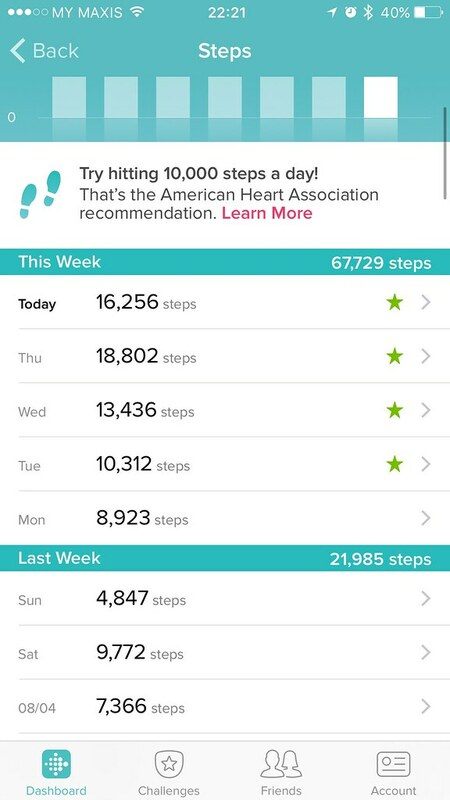 Before I got this device I would never thought that I can walk 10,000 steps a day. I don't even aware of how stationary my day was. I still spend 62% of my day not being active. No wonder I am having trouble loosing weight. This model of fitbit doesn't have a heart rate monitor. I used a heart rate monitor on my Apple watch to monitor my heart rate especially while working out. I am still new at monitoring heart rate during exercise and I am still exploring my optimum heart rate for weight loss or for burning calories or fat. I really like the fact that the device detect exercise automatically and detect when I go to sleep every night. No configuration or setting up required. That is one thing I don't have to put on my to do lists. 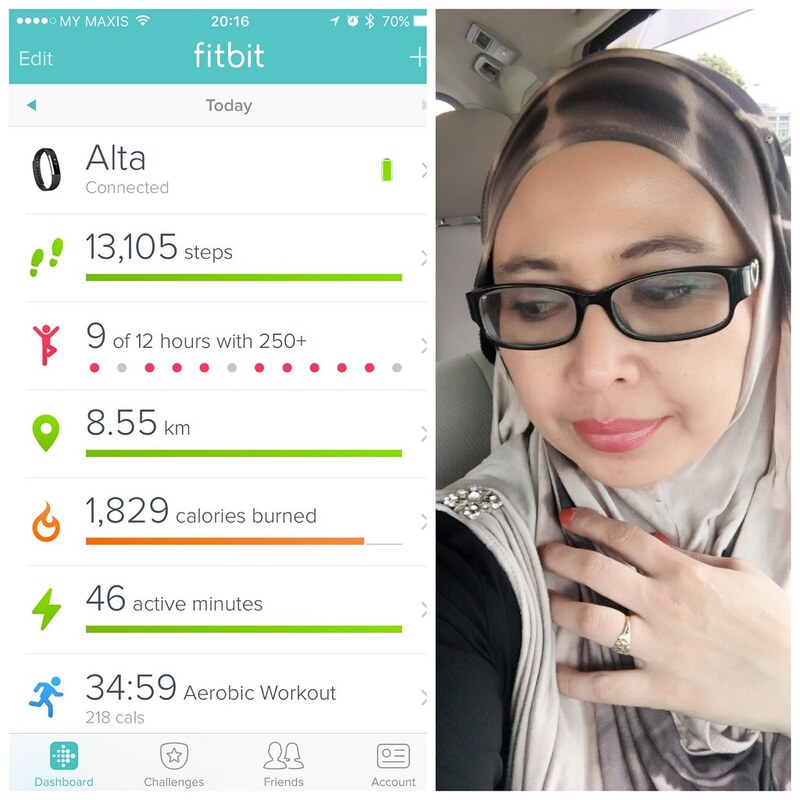 Sleeping with fitbit alta is also comfortable. The battery life is so amazing. It lasted for more than five days. I did charged my fitbit alta this morning just because I hate seeing the battery indicator less than half. I just don't have to worry about the battery running out in the middle of working out. With the battery that is super lasting I can wear this device all the time. I don't ware it when I taking a shower or when I take wudhu daily. Other than that it stay on my wrist. I don't know how well this device will help me with weight loss but I am hoping that it will. I highly recommend this device if you want to keep track of how active your are on a daily basis. It's a great investment for your well being, lifestyle and how good you feel about yourself know that you do everything that you can to stay active.